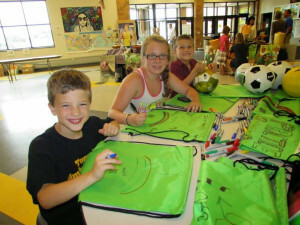 Backpacks for Peace - Remembering Jesse Parker, Inc. 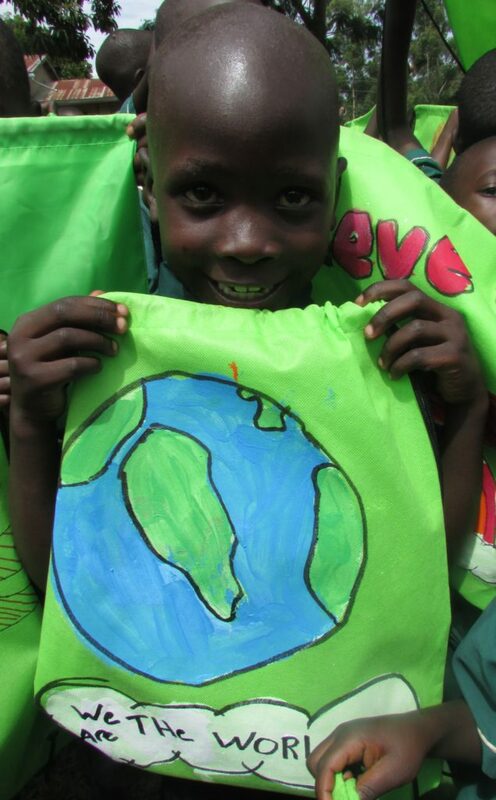 Thanks to generous support, we have been able to provide “hope” to more than 1,500 children in Uganda. “Hope” in the form of a small drawstring backpack decorated by child in Wisconsin including a message of hope and friendship. Each bag is filled with a toothbrush, notebook, and pencil. 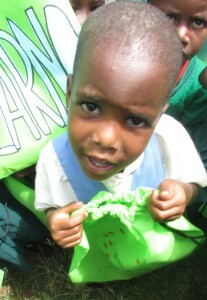 Most Ugandan children, if they have any school supplies, carry them in a small used garbage bag. The children are delighted by the gift of friendship and since most can read English they love the encouraging notes. Want to sponsor Backpacks for Peace? Your donation of $25 provides 10 backpacks with supplies. Simply designate “Goal Africa – Backpacks” with your donation to Remembering Jesse Parker, Inc. Backpacks will be delivered by a Wisconsin-based team in June 2015. Donation information. If your family, classroom, or other children’s group would like to decorate backpacks with messages of hope please contact Jennifer Parker.